Many children with autism spectrum disorder (ASD) have sleep disorders. Face-to-face (F2F) sessions have empowered parents to help their child sleep. Our goal was whether online technologies could provide similar improvements in children’s sleep while also improving parents’ quality of life. Identical programs were taught in two sessions to F2F and online parents. Measurements were compared from baseline to 4 and 8 weeks post teaching sessions. Twenty-three participants completed the program. Parent quality of life improved for both groups. Parent fatigue scores were improved and sustained for the online group. The total sleep score improved for both groups, while the online group had sustained decreases in night wakings. Online methods can conveniently help improve sleep for children with ASD. The results of this study were presented to the Society of Pediatric Nurses in April, 2018 and to Patient Care Services staff at Grand Rounds at CMH in May, 2018. Financial support for this study was provided by the Organization for Autism Research and Children’s Mercy Hospital. CAR conceived of the study, designed the methods and educational sessions, recruited and consented participants, conducted the educational sessions, distributed the measurement tools, managed the data collection, and drafted the manuscript. KCS collaborated in the conception of the study, managed all of the data associated with actigraphy and interpretation, and helped to draft and revise the manuscript. AKS performed the statistical analysis, designed the statistical tables, and wrote much of the results section of the manuscript. All authors read and approved the final manuscript. All procedures performed in studies involving human participants were in accordance with the ethical standards of the institutional and/or national research committee and the 1964 Helsinki declaration and its later amendments or comparable ethical standards. SAS Institute Inc. (2018). Cary, NC. Retrieved from https://www.sas.com. Weiss, S. K. (n.d.). 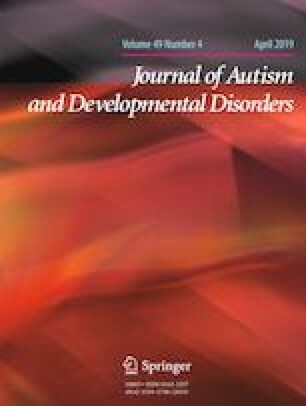 Strategies to improve sleep in children with autism spectrum disorders: A parents’ guide. Autism Speaks Autism Treatment Network. Retrieved from http://www.autismspeaks.org/family-services.